Adam Brimelow reports on calls to "bust the myth" that exercise is the key to tackling obesity. Physical activity has little role in tackling obesity - and instead public health messages should squarely focus on unhealthy eating, doctors say. In an editorial in the British Journal of Sports Medicine, three international experts said it was time to "bust the myth" about exercise. The experts, including London cardiologist Dr Aseem Malhotra, blamed the food industry for encouraging the belief that exercise could counteract the impact of unhealthy eating. They even likened their tactics as "chillingly similar" to those of Big Tobacco on smoking and said celebrity endorsements of sugary drinks and the association of junk food and sport must end. They said there was evidence that up to 40% of those within a normal weight range will still harbour harmful metabolic abnormalities typically associated with obesity. But despite this public health messaging had "unhelpfully" focused on maintaining a healthy weight through calorie counting when it was the source of calories that mattered most - research has shown that diabetes increases 11-fold for every 150 additional sugar calories consumed compared to fat calories. And they pointed to evidence from the Lancet global burden of disease programme which shows that unhealthy eating was linked to more ill health than physical activity, alcohol and smoking combined. 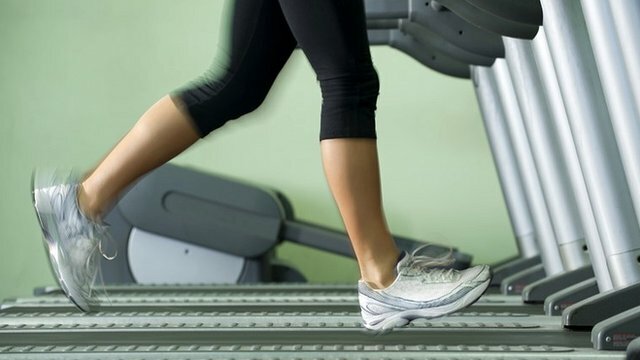 Dr Malhotra said: "An obese person does not need to do one iota of exercise to lose weight, they just need to eat less. My biggest concern is that the messaging that is coming to the public suggests you can eat what you like as long as you exercise. "That is unscientific and wrong. You cannot outrun a bad diet." But others said it was risky to play down the role of exercise. Prof Mark Baker, of the National Institute of Health and Care Excellence, which recommends "well-balanced diets combined with physical activity", said it would be "idiotic" to rule out the importance of physical activity. Ian Wright, director general at Food and Drink Federation, said: "The benefits of physical activity aren't food industry hype or conspiracy, as suggested. A healthy lifestyle will include both a balanced diet and exercise." He said the industry was encouraging a balanced diet by voluntarily providing clear on-pack nutrition information and offering products with extra nutrients and less salt, sugar and fat. "This article appears to undermine the origins of the evidence-based government public health advice, which must surely be confusing for consumers," he said. Should the Government increase the tax on unhealthy food so to help people to eat healthy if it was cheaper? OK I did even bother reading this article the Title alone set me off!! People do not become obese overnight. its like 10 pounds every year, which is most likely just 500 surplus calories a day, then suddenly you can't see your feet. I think the Government should tax unhealthy food more and reduce the tax on health food. So it's cheaper for people to buy. 816 sabcarrera - I'm not sure if you're making a tongue-in-cheek comment, but I do sometimes wonder if the amount of work a human has to do in a day to stay the same weight (i.e calorie expenditure, but it's probably more complicated than that) is a biological constant based on the evolutionary requirements of hunter-gathering, ie available calories vs expenditure? There are two separate issues here, exercise and diet. Exercise and a good diet both improve health. Now, if you're fat, you won't lose weight by exercising. To lose weight, you need a better diet. But even if you choose to remain fat, exercise is still good for you. Moral of this non-story: do both. Eat healthily AND get some exercise. Except that we knew that all along. Trouble is after exercise I'm ravenous! Lol, tell that to the guys in McDonalds shovling down double cheese burgers before hitting the gym to bulk, carbs and protein haha. Iv been going to the gym for about 20 years and do 3 spin classes a week and do weights and I run as well! I eat healthily but I also have treats and I do drink occasionally! I weigh the same as I did when I was 21 and I'm now 55 but it's hard work! You need to work hard folks! Good luck! All posts are reactively-moderated and must obey the house rules. Surgeons in Cambridgeshire perform the first heart transplant in Europe using a non-beating heart.